If you’re active, chances are you need a gym bag. But a gym bag with compartment is better than just using any old bag. In fact, a gym bag with shoe compartment makes it easy to keep dirty shoes away from your other exercise essentials. So which is the best one? 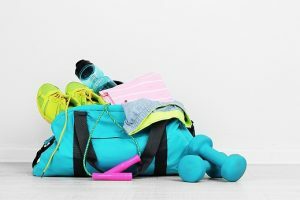 We’ve taken a look at the top 10 best gym bags with compartments for both men and women so you can choose the best bag to carry your sports equipment or gym and exercise essentials. Nike is a brand synonymous with fitness. 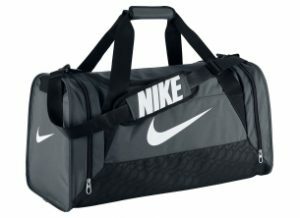 So choosing a Nike gym bag is a good option. It’s in a duffel style, containing a main compartment that is very roomy. The opening to this big compartment is U-shaped, making it easy to grab out your gear fast. Inside, there are multiple pockets that feature zippers as well as Velcro to store smaller items and keep them in place. At one of the ends, there is a ventilated pocket that is perfect for storing shoes or anything wet, like swim gear. 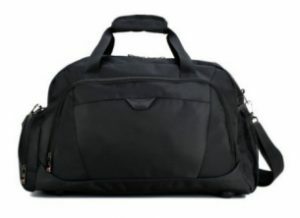 It’s a great bag that’s L 24.5″ x W 12″ x H 13″, made of polyester, and ideal for men or women. It comes with a limited lifetime guarantee too so you can trust the quality. 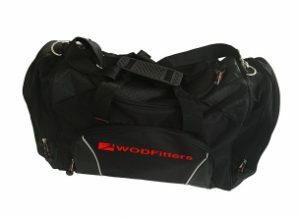 This gym compartment bag is made from durable 600d polyester. It’s 11.81” high by 10.63” wide, in the style of a duffel bag. You’ll find a side pocket that is ideal for holding your shoes or any wet items. There are also zippered pouches on the front, allowing for easy and safe storage for keys and personal items. It’s a great bag to hold all your sports gear. 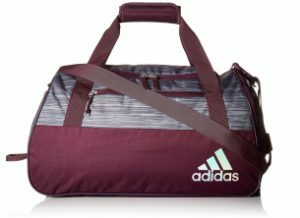 Match your kicks with an Adidas gym bag. It’s built to last and has the lifetime warranty to back it up. Here, you get a bag with a main compartment that has plenty of room. Inside the main compartment, you’ll find zippered pockets that will help keep your organized and protect your keys, wallet, and phone. A zippered exterior pocket, while small, is ideal for smaller items, like your gym pass for example. It comes with an adjustable shoulder strap so you can fit it perfectly to you. You’ll also find a ventilated exterior zippered compartment where you can put dirty gym clothes, shoes, or wet items. And don’t forget to stay hydrated during your fitness regimen! There’s an expandable mesh pocket at one end that’s ideal for holding your bottle of water. 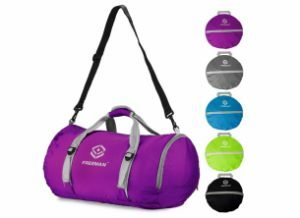 This gym bag is geared toward women though it is a fantastic athletic bag for anyone to use. For those that are outside exercisers or play in the field, this gym bag with compartments is a superb choice. It can handle any element thrown at it with its water resistant finish. It also features tough bottom and side panels that are resistant to abrasions. On the front, a large zippered organization pocket is there to help you keep your essentials easily accessible. There is also a HeatGear® shoulder strap that is adjustable and padded so it never makes you uncomfortable. And if you’d rather just carry your bag, the top grab handle is padded for your comfort. 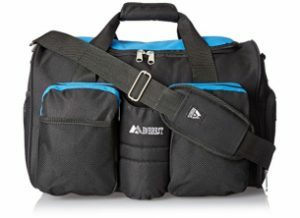 Looking for a best gym bag with compartments? Look no further than this one with a roomy main compartment complete with interior zippered pockets that help you stay organized. It has enough space to hold several changes of clothes, a pair of shoes and a towel. There are also front and side zippered pockets to give you more storage. One end of this bag features a ventilated compartment that keeps dirty shoes or wet, smelly clothes away from all your clean items. You can use the adjustable and padded shoulder strap to carry it, but if you’d rather carry it by hand, the shoulder strap is removable. The whole thing folds up with ease when not in use too. And if you have any problems with this bag, WEWEON offers a 100% guarantee so you can buy with confidence. 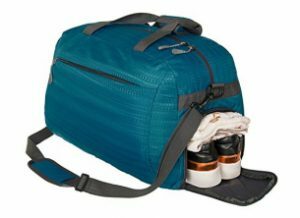 This nylon gym bag gives you a zippered compartment on the exterior designed specifically for your shoes. It’s ventilated to keep from trapping in smells, and can also be used for dirty clothes too. The bottom of the bag is waterproof. The zippers on this bag are SBS zip construction which is stronger than typical zippers, plus they stay strong for life. You can use the shoulder strap or the dual handles, whichever you choose. In addition to the shoe pocket, there’s a side mesh pocket, an interior pocket, and a main compartment. It’s roomy enough to hold all your essentials for your outdoor excursions or gym classes. 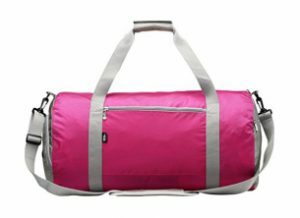 This large gym bag can hold 32L so you know it’s got your back when you need to take your exercise and sports essentials with you. It’s made from a wear-resistant nylon and features a main compartment with interior pocket, plus a front pocket on each side, and a compartment for your shoes. Durable handles make it easy to carry as does the removable shoulder strap with anti-slip shoulder grip. It’s a great bag for all your exercise needs. 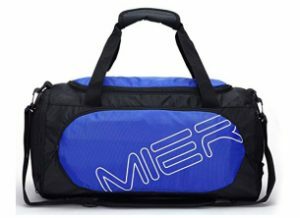 Get organized with your exercise and sports routines by using this gym bag. It’s made from a high-quality canvas and is easy to carry by hand or wear on your shoulder thanks to the rubberized strap that keeps it firmly in place. The main compartment is large enough to tote all your gym clothes and your gear. The front mesh pocket features 3 smaller pouches of mesh where you can easily stick all those exercise things from athletic tape to workout gloves. The thoughtful design gives you a place to put your shoes too. 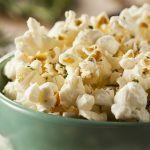 Best of all, it comes with a 60-day satisfaction guarantee so you’ve got nothing to lose! 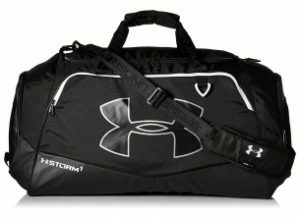 You need a best gym bag? Then try this one, ideal for the active exerciser! You get an adjustable shoulder strap that’s super comfortable and easily removed for when you’d rather carry it. Plus it has a very large main compartment and an inner pocket for shoes and laundry. It’s water resistant to keep from transferring wetness inside or out, plus the bottom is stuffed to protect it from various surfaces. It’s a risk-free purchase too with a 100% lifetime guarantee to ensure your satisfaction. Hold 35 L of items in this gym bag! You get a large interior compartment, a side pocket, a shoe compartment and a back pocket that is ideal for those small items. It’s a polyester memory fiber composition so it’s soft and easy to stow along on any adventure. On each side of the bag, there are reinforced belts, ideal for things like your yoga mat. You can carry it with the adjustable shoulder strap for ease. Buy it now with no worries. It has a 100% satisfaction guarantee where you can get your money back if you’re not happy with it. The best gym bag is the one that fits your lifestyle the best. If you’re always on the go and take multiple sets of clothing with you, you’ll want to get one large enough to accommodate that. If you use your gym bag for your travels, a larger style will also be preferred. Another thing to note is that gym bags with separate shoe or dirty clothing compartments are a much better idea. If you play sports outside in the elements, your shoes carry a ton of dirt, mud and germs on them. Having a special place to put them where they won’t stink up the rest of your stuff is a brilliant idea. Or if you’re on the swim team, these separate compartments that keep wet or dirty items away from the rest are ideal. In this way, you can be sure your stuff stays safe. Water-resistant designs are best too. That way if it rains while you’re on the field, you don’t have to worry about your wallet or phone or anything else you don’t want getting wet. One of these 10 best gym bags are sure to meet your gym bag needs!